To allow Hydrangeas to establish their root system prior to the spring, they are best planted in October and November. However if you miss this seasonal opportunity then you will have a second chance in March to April. 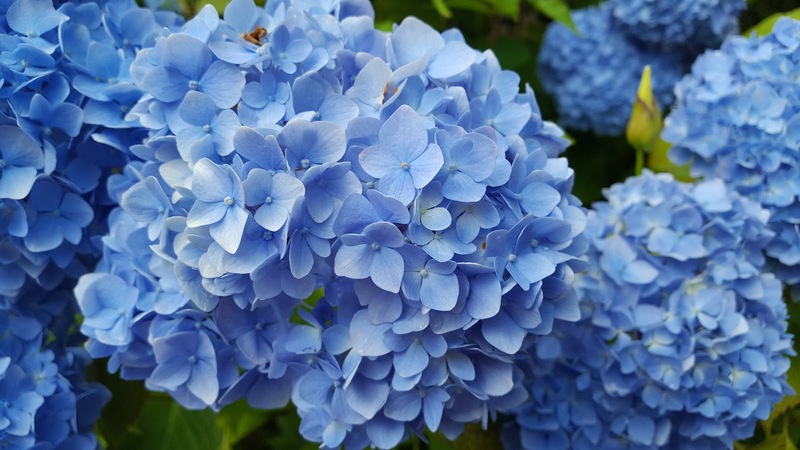 To allow them to perform at their best, plant Hydrangeas in a good loamy, moisture-retentive soil that has been previously enriched with well-rotted manure, garden compost or other humus-rich organic compost such as leaf-mold. They are best grown in a sheltered position, against a wall or hedge, or beneath the canopy of tall trees. This is important as the young tender growths are easily damaged by late spring frosts. With this in mind, avoid planting Hydrangeas in a position where morning sun after night frosts can damage the new growth further. Hydrangeas will thrive in full sun to semi-shade with the exception of Hydrangea sargentiana which will perform at it best in full shade. Hydrangea villosa will be happy in semi-shade but will scorch in full sun. The highly popular, blue-flowering garden cultivars of Hydrangea macrophylla will not produce decent-colored blooms on alkaline soils. To avoid the colors leaching out to a drab, pinkish colour, dress the soil liberally with moss peat and apply colour-enhancing chemical feeds such as sequestrene or aluminium sulphate annually. Pink cultivars of the same species tend to be less clear or take on purple hues when grown on acidic soils. In this instance, dress the roots with 2 ounces of ground-limestone per square yard annual to preserve the pink coloration. All hydrangeas, and especially Hydrangea paniculata, will benefit from an annual mulch of well-rotted compost applied in April. However avoid regular feeding with liquid soluble fertilizers as this can lead to excessive soft, leafy growth. 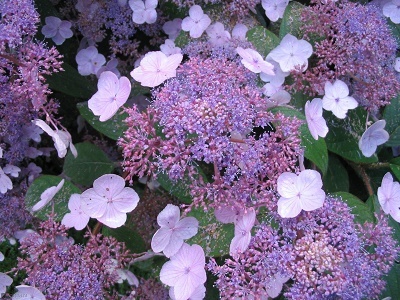 Over feeding can also cause Hydrangeas to promote foliage growth at the expense of developing flower buds. This soft growth will also leave them more at risk from frost damage over the winter. 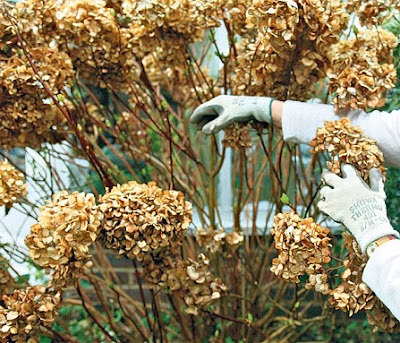 Most Hydrangea species require no regular pruning except to remove dead flower-heads after flowering, or later on in March. Remove any weak, diseased or damaged wood in February or March at the latest. Cut back the previous years flowering shoots of Hydrangea arborescens and Hydrangea paniculata by half in February or March. Thin out at ground level two and three year old flowering shoot of Hydrangea macrophylla cultivars to promote strong new shoots. The popular climbing Hydrangea anomala subsp. petiolaris should have any overlong shoots cut back immediately after flowering. On established specimen most of the blooms will appear towards the top of the plant, so try to leave as much of this un-pruned as possible.